Assistant Superintendent Deana Lopez and students at WISD's Pre-K enrollment event. Martin Musicals Presents Willy Wonka! Time to get your tickets for Martin Musicals production of Willy Wonka! 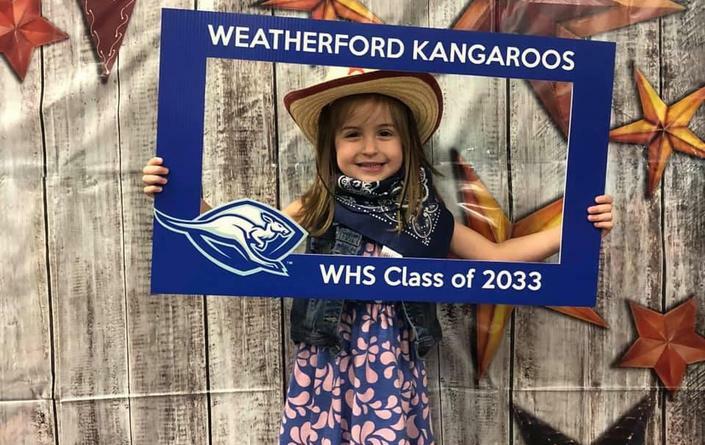 Friday, April 26 and Saturday, April 27 at 7:00 p.m.
Weatherford ISD is excited to offer a full-day Pre-Kindergarten program beginning in August 2019. The program will be held at two elementary campuses and will follow the normal school day schedule. 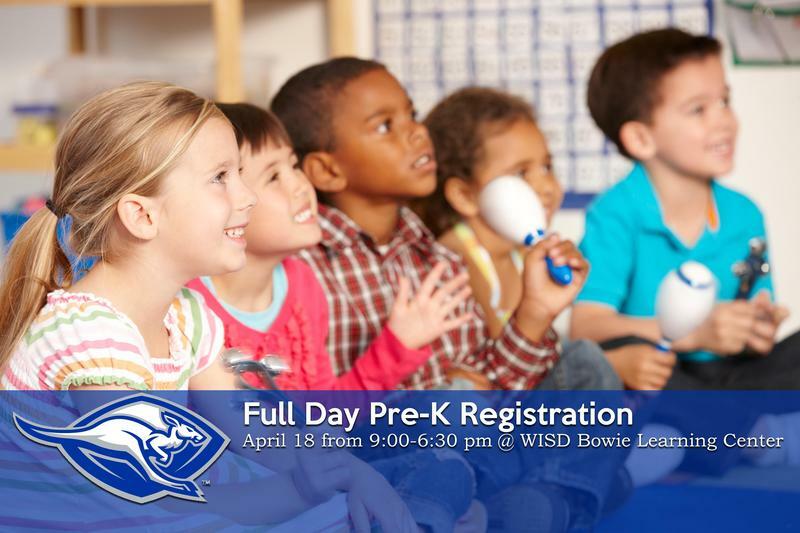 Enrollment for the full-day Pre-K program will be held on Thursday, April 18, 2019 from 9:00 am – 6:30 pm at the Bowie Learning Center – Conference Center. This facility is located at 900 N. Elm Street in Weatherford. For more information on qualifications and enrollment, including what to bring to register your child for full day Pre-K, please click on the headline. Weatherford ISD has partnered with PCI (also known as Publishing Concepts) once again to publish a 2020 Weatherford High School Alumni Directory. 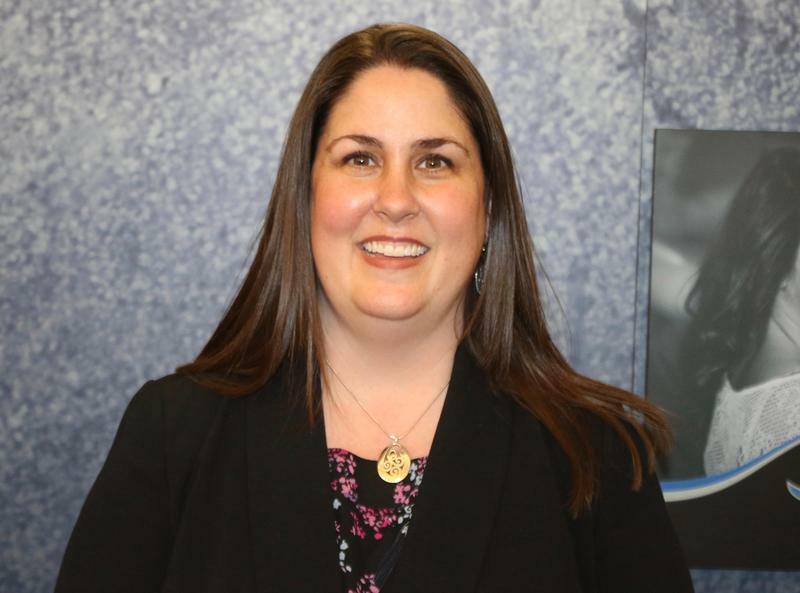 This project is designed to provide current contact information for former students to use to reunite with old friends and plan for class reunions. 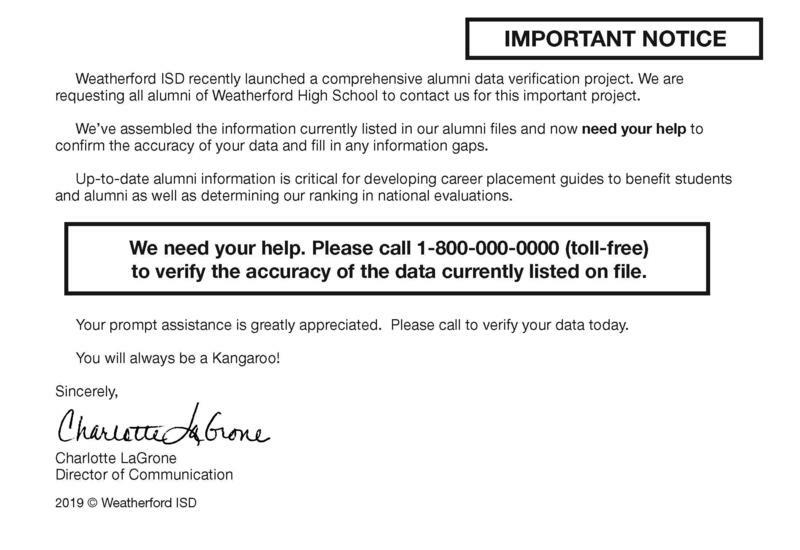 If you are a graduate of Weatherford High School, you’ll soon receive a mailed postcard requesting that you update your contact information for this directory project. Please be assured this is a legitimate communication from Weatherford ISD. All Weatherford ISD middle school and high school students participating in athletics are required to have a new physical on file each year. On Saturday, May 11, physicals will be offered at a cost of $10 for middle school students from 8 am - 10 am and for high school students from 10 am - 12 pm.